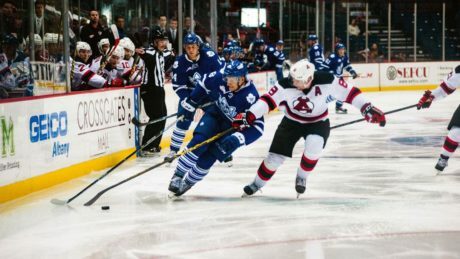 Dan Kelly has been suspended for ten games as a consequence of a match penalty for an illegal check to the head of an opponent in a playoff game vs. Toronto on May 10. 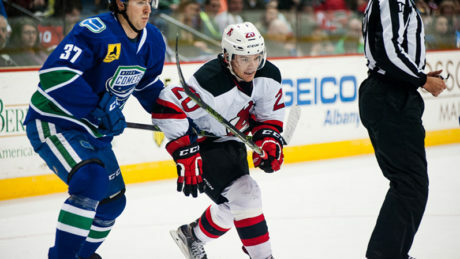 Matt Lorito was the hero, scoring at 3:06 of the extra frame to give the Devils a 3-2 victory against the Comets Saturday. 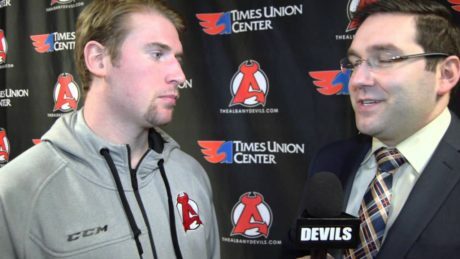 Dan Kelly previews the Devils vs. Sound Tigers game Sunday at Times Union Center. 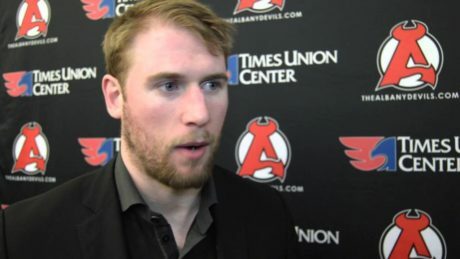 Dan Kelly talks about the team’s 2-1 loss against the IceCaps. 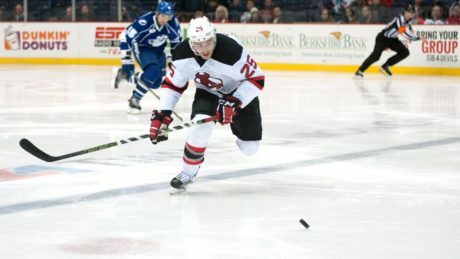 The Devils hopes for a seventh consecutive victory were dashed by a former Capital Region resident Sunday afternoon. 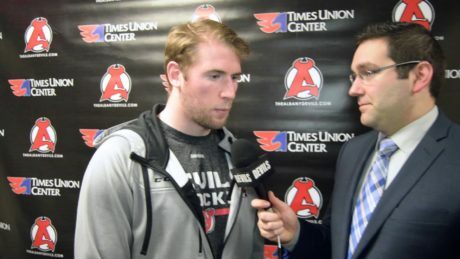 Ex-Union College captain Mat Bodie scored 19 seconds into overtime to give the Wolf Pack a 4-3 win at XL Center. 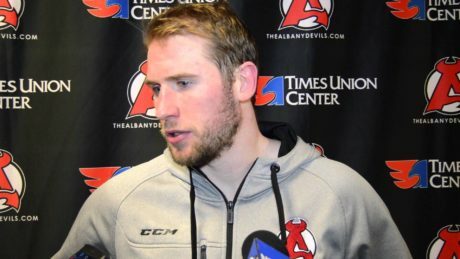 The only member of the 2010-11 team when the Devils relocated to Albany, Dan Kelly has been through the thick and thin. 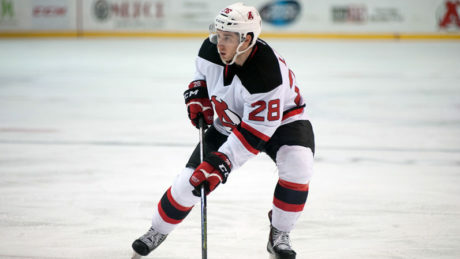 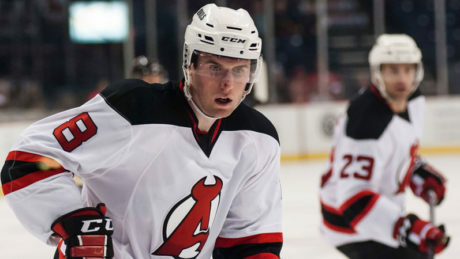 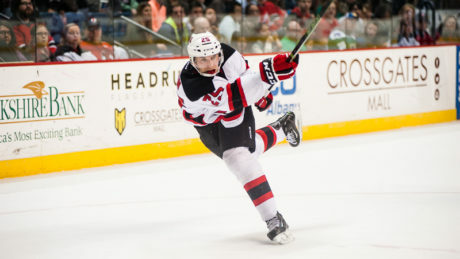 The American Hockey League has announced that Albany Devils defenseman Dan Kelly has been suspended for one game as a consequence of a match penalty for an illegal check to the head of an opponent, assessed in a game vs. St. John’s on Dec. 2. 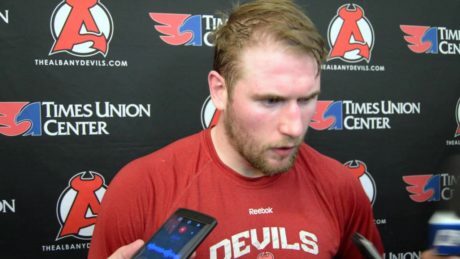 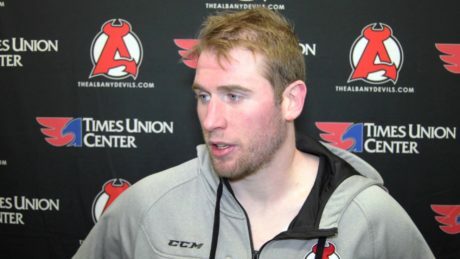 Dan Kelly previews the Devils contest against the IceCaps.